We love to work with honest mum and blogging awards finalist, Ami Roberts, with the arrival of Ami’s second baby we thought, who better to put Baby Kingdom to the test! 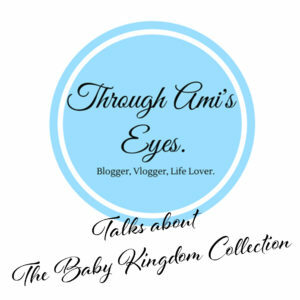 Read on to find out what Ami had to say about Baby Kingdom …. Now he is 4 months old and his skin is wonderful BUT I still make sure I only use the best on his skin. Thank you Ami for your honest product overview! Baby Kingdom are delighted to be part of the trusted brands you choose to use on your precious little ones! Nursery Today – Let babies smell like babies!